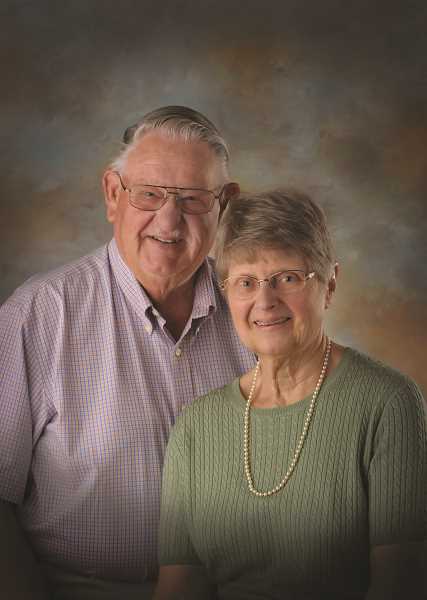 Warde and Pat Hershberger invite the community to help them celebrate their 60th wedding anniversary. An open house reception will be from 2 to 4 p.m. on Aug. 25 at the Zion Mennonite Church, 6124 Whiskey Hill Road, Hubbard. Hosting with them will be their three children —Barbara Hershberger, of Yakima, Washington, Mary Masingila, of Hubbard, and Tim Hershberger, of Medford — their spouses and their eight grandchildren. Warde and Pat married on Aug. 22, 1958, at Sheridan Mennonite Church in Sheridan. Warde and Pat have called Woodburn home all these years. Warde grew up in the family business, becoming the owner of Hershberger Motors, a long-time Woodburn business, and is now retired. Every neighborhood has been wonderful, and they have gained lifelong friends. The Hershbergers have been active community members. Warde's involvements are Woodburn Fire District volunteer since 1962, charter member of French Prairie Kiwanis Club, AWARE Food Bank and Habitat ReStore. Pat has been most active with the Mennonite church responsibilities, both local and broader. Both have served on numerous boards and committees. They are long-time members of Zion Mennonite Church in Hubbard.